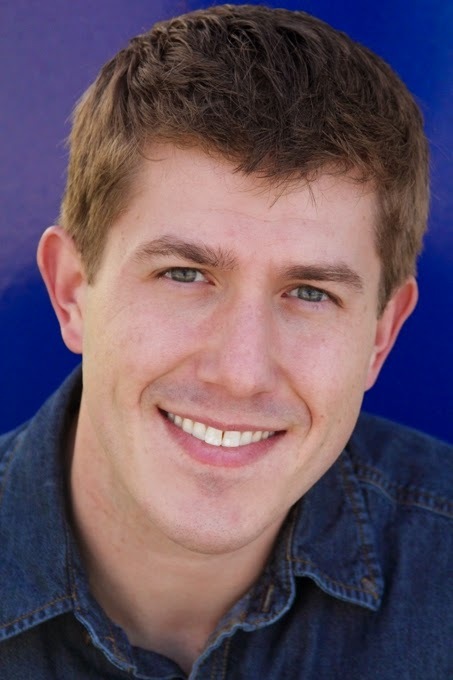 Josh Vogt has been published in dozens of genre markets with work ranging from flash fiction to short stories to doorstopper novels that cover fantasy, science fiction, horror, humour, pulp, and more. 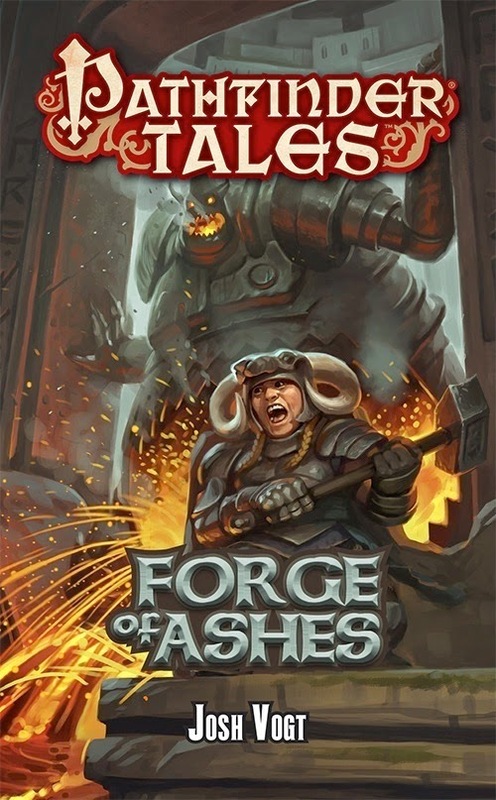 His debut fantasy novel, Forge of Ashes, adds to the RPG Pathfinder Tales tie-in line. 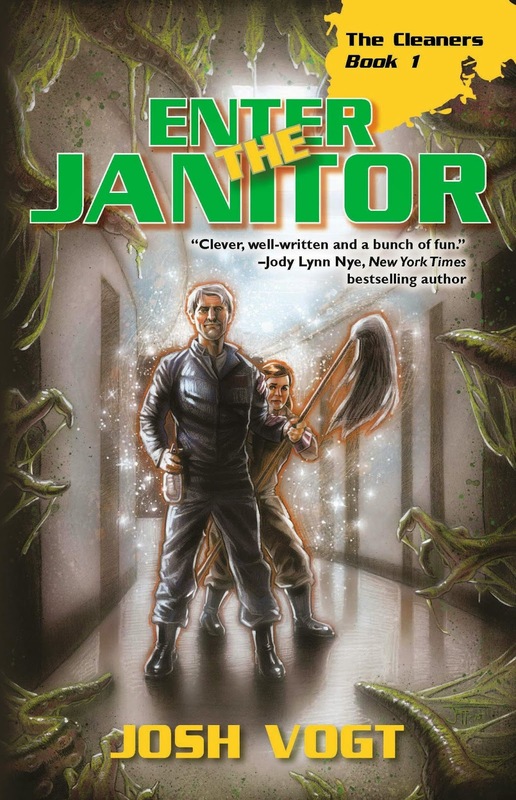 WordFire Press is also launching his urban fantasy series, The Cleaners, with Enter the Janitor (2015) and The Maids of Wrath (2016). You can find him at JRVogt.com or on Twitter @JRVogt. He’s a member of SFWA as well as the International Association of Media Tie-In Writers. I caught up with Josh midway across the Atlantic where we tethered out hot air balloons together and Josh hopped over for a cup of tea. GJ: First off, any relation to A.E.Van Vogt, and how do you pronounce surname? JV: No relation, though I certainly won’t mind being on the bookshelves next to him. And the name is pronounced the same as “Vote.” Yes, I’ve been told to go into politics, since I’d have the perfect campaign slogan. No, I never will. GJ: You write several different kinds and lengths of fiction, including RPG texts and tie-ins. What appeals to you about writing in these settings? JV: I bore easily, which is one of the reason I quit the 9-5 career track and set out to be a freelance writer. Having a wide variety of genres and forms to write within keeps me from getting into any sort of rut and also provides an excellent creative challenge. For RPGs and tie-ins, I love the chance to bring my personal style, characters, and fresh ideas to an established setting. GJ: You’ve also written short stories, novellas and novels. Do you have a preference, or does each have its own reward? JV: Actually, I feel I do well with novels (usually ranging from 85-100k words) and flash fiction (1k words or less). So I jump to either end of the spectrum. Short stories have been a struggle for me in the past, but I’m slowly working to refine my technique there. I’ve definitely learned that particular ideas lend themselves to certain story lengths, so if I’m struggling to flesh out a concept into a full novel or novella, then I take a run at it as a flash fiction piece and often find it condenses quite nicely. Or I may start a short story and find myself inspired to worldbuild until it’s novel-worthy. GJ: Does gaming inspire you to write, or vice versa? Or both? JV: Both, for sure. The games I’ve loved best are ones that have the most storytelling or character development potential. If it lacks a storytelling core, then I quickly lose interest in a game and move on. When I encounter a game that gives me an incredible adventure, that makes me want to turn around and write one of my own! GJ: Tell us a bit about your new novel, Forge of Ashes. JV: Forge of Ashes is a sword and sorcery adventure following Akina, a dwarven barbarian, who returns to her mountain home after fighting abroad for a decade. She’s wanting to reconnect with her family and culture, perhaps even rest from the violence for a bit, but no such luck! Not only has her family been disgraced, but her mother has vanished into the foreboding tunnels leading from the city down into the Darklands. Akina determines to do everything in her power to rectify the situation, which means facing down plenty of monstrous foes along the way. GJ: What writing plans do you have for the rest of the year? JV: I’m constantly working on new projects, both short and long form. I’ve got a couple novels I’m polishing to shop around, and then have several others that are in various stages of worldbuilding and drafting. At least one or two of those should be finished by the end of the year, and we’ll see what else is in the works by then. You'll be glad to know, Josh made it safely back to his own balloon, and as far as I know heade in the right direction to get home.